With less than two months to go until its premiere, the 2017 E-Class keeps spilling secret after secret. 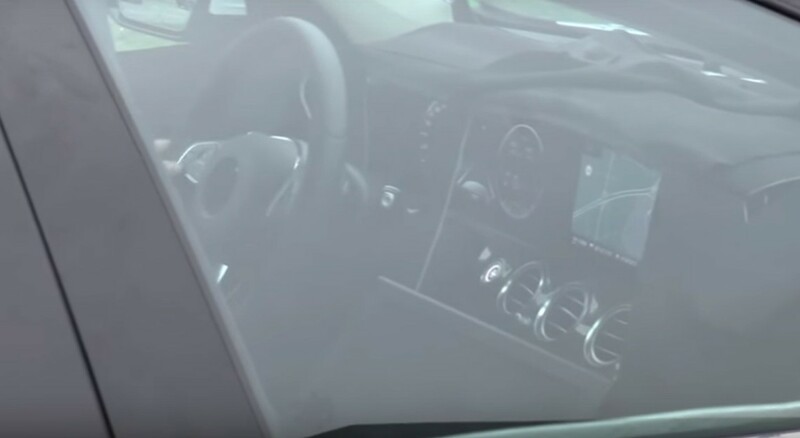 Now we have our first look at the interior and fully digital dials of the upcoming Mercedes sedan. Car spotter Walko did it again, catching for the first time the interior on video. The film shows that its layout is set to rely heavily on the bigger S-Class for inspiration, complete with dual LCD screen instruments, round vents finished in chrome and rotary touch-pad controlled COMMAND system with fresh menu structure and augmented reality functions. The fully digital dials are revealed for the first time, as all other spy pictures and videos have exposed only a mixed solution pairing the large center display with classic analogue instruments. According to latest rumors, Mercedes is also going back to its L6 roots, developing a new twin-turbo 2.9-liter inline-6 engine. And this is not all, as the all-new MRA platform can also support a plug-in hybrid version right from the outset. In therms of design, the all-new 2016 E-Class mimics the lines of its older brothers, the C-Class and S-Class. A clear separation line though is being drawn by its tauter, slightly sportier proportions.